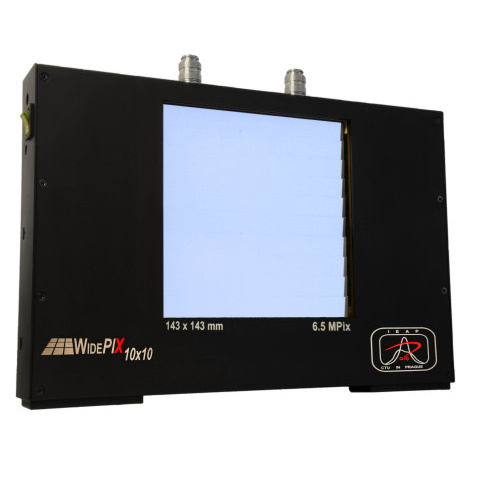 The world largest single particle counting radiation imaging detector WIDEPIX®10x10 with resolution of 2560x2560 pixels (6.5 Mpixels) and continuously sensitive area is composed of a matrix of sensitive detector tiles. 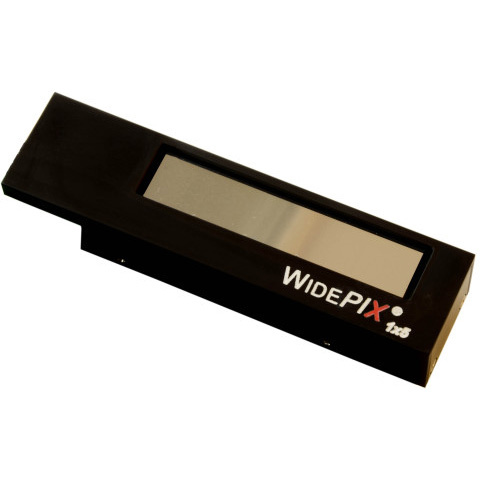 The large area imaging detector WIDEPIX®1x5 with resolution of 1280x256 pixels (0.3 Mpixels) and continuously sensitive surface is composed of a row of sensitive detector tiles. 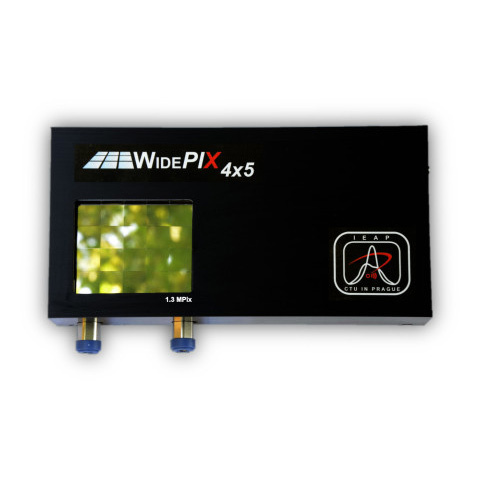 The large area imaging detector WIDEPIX®4x5 with resolution of 1280x1024 pixels (1.3 Mpixels) and continuously sensitive area is composed of a matrix of sensitive detector tiles. 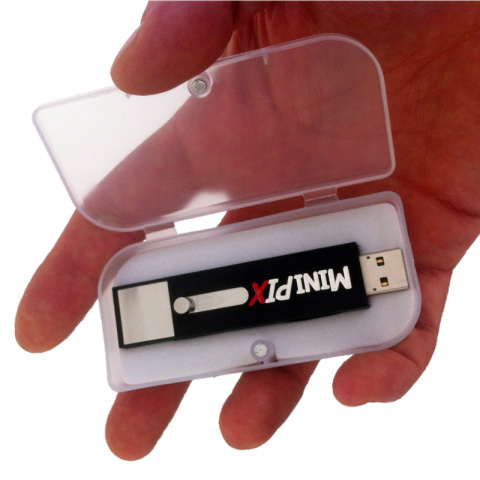 Each tile consists of single Timepix hybrid detector (256 x 256 pixels) with edgeless silicon sensor. 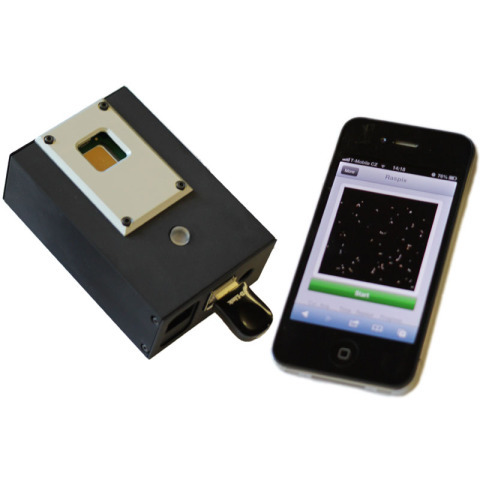 Crypix™ is a versatile pixel-based detector employing successful Medipix2 and Timepix technology. 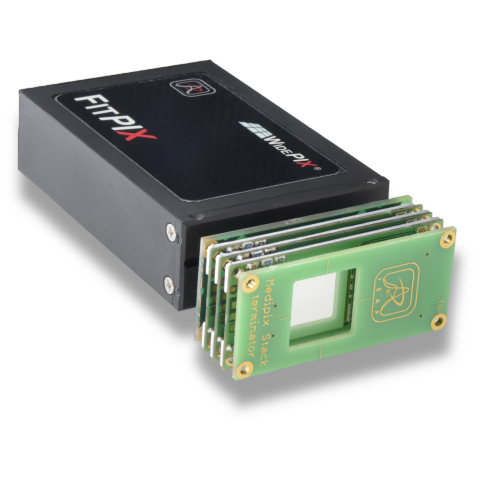 The MINIPIX is miniaturized and low power solution of radiation camera with single or multiple stacked particle counting (or particle tracking) detector Timepix. 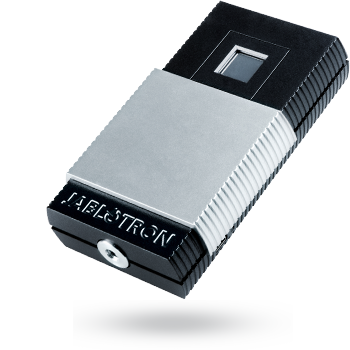 The MX-10 Digital particle camera is a state-of-the-art educational toolkit for demonstrating radiation and analyzing radioactive sources. 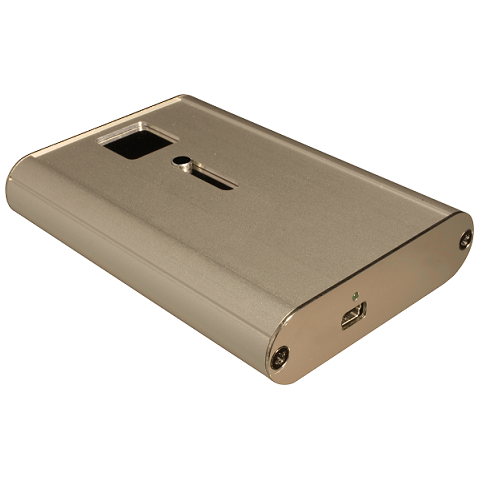 RasPIX is a radiation monitoring and imaging detector with wireless connectivity and battery operation. 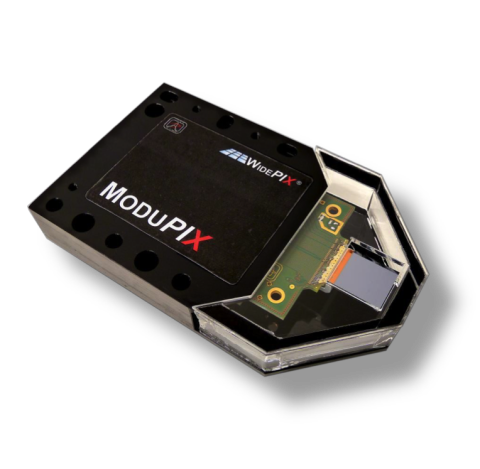 The MODUPIX is a fast versatile modular camera with edgeless pixel detectors Timepix and can be used in different configurations such as stack or tiling.